Afghanistan has a rich musical culture, but it’s not an easy world for women to break into. Eighteen-year-old Negin Khpalwak knows that struggle all too well. Afghanistan has a rich musical culture, but it’s not an easy world for women to break into. Eighteen-year-old Negin Khpalwak knows that struggle all too well. In the face of hostility and threats, even from her family, Negin has battled to follow her musical passions. 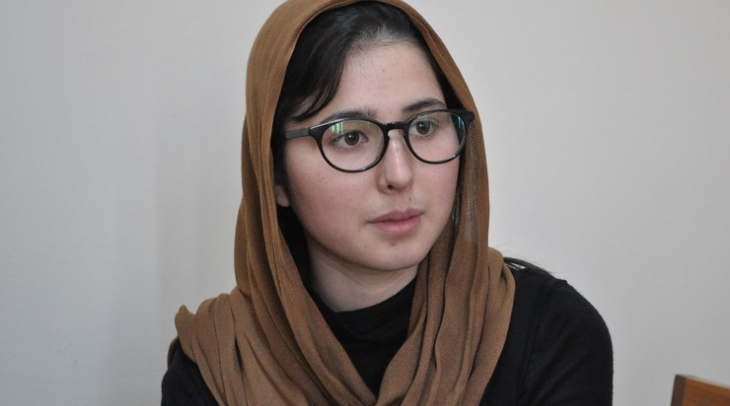 Ghayor Waziri has her story. Here at the Afghan National Institute of Music in Kabul, dozens of young women are practicing their musical instruments. The sounds of violin, piano, trumpet and rubab, a lute-like instrument from central Afghanistan, fill the room. It’s not easy for women to be accepted here, explains 18-year-old Negin Khpalwak. “The only reason I came to Kabul was social conservatism, which stops girls from going to school in Kunar. My father decided to bring me to Kabul so I could finish school. I never thought once, even in my dreams, that I would be able to play music here. But now I am leading the orchestra and playing piano and I really enjoy it,” she says. 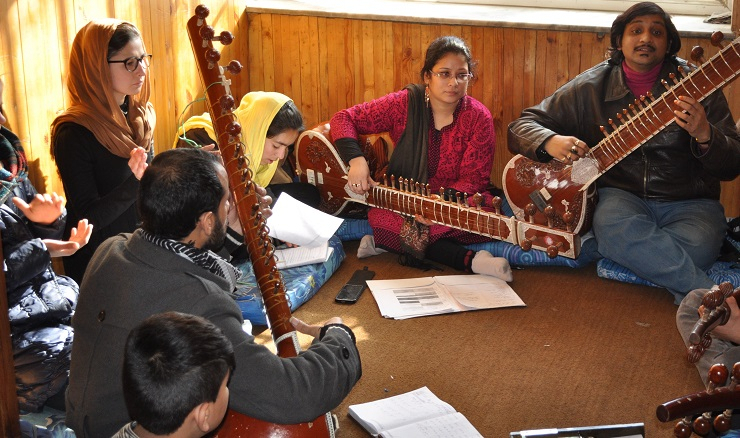 From a big family in the remote province of Kunar, in eastern Afghanistan, none of Negin’s family supported her love of music. Negin is not from a wealthy family either, so in Kabul she lives in an orphanage. Apart from her father, everyone in her family was against her studying music. “When I passed the exam for the music institute they phoned my mother to tell her. But she was really angry about it. So I had to tell her there was a misunderstanding, that I had been accepted into a private school, not a music school,” Negin told me. During Taliban rule, playing musical instruments was banned, and today conservative Muslims still frown upon many forms of music. In Kunar, girls usually finish school after about five years. And most find themselves in arranged marriages at a young age. But with the help of her father, Negin battled hard against that. For years, Negin even practiced in secret. “My father faced a lot of pressure from the family, from my uncles to stop me from studying music. At times, he had to leave the house and come to Kabul. But he never stopped me from learning. He also really likes music and I am so thankful to him,” Negin remembers. 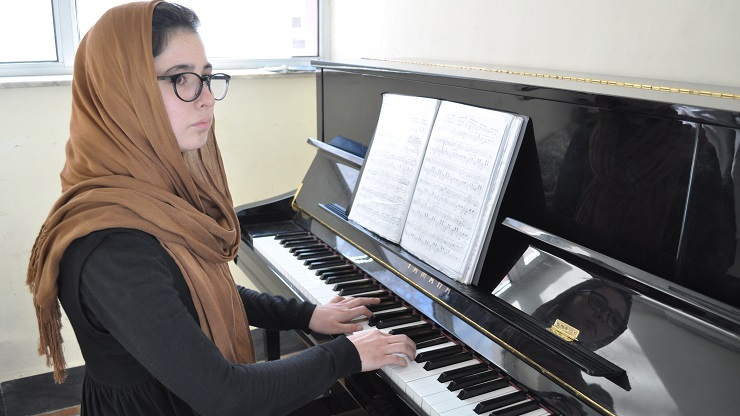 After years of practice and study, Negin now leads Afghanistan’s first women’s orchestra. It’s an ensemble of 35 women musicians, which plays both traditional and Western music. Her teacher, Fareed Shifta, explains why Negin was chosen as the lead. “She was one of our most active and talented students. Because of her knowledge and talent we decided to promote her, and make her the first leader of the Afghan Women’s Orchestra. 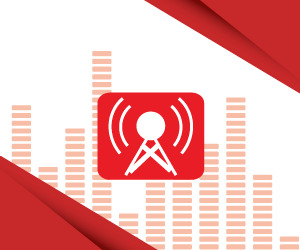 One of her best and strong productions that she led recently was the children’s national anthem, which will be played in all Afghan schools,” Shifta said. The children’s anthem is about promoting education to Afghan children. Fekry Aziz, a student of Negin’s at the music institute, says she is impressed by Negin’s leadership. “Negin is mostly relaxed and calm when she is supporting or conducting us, so I like working with her. We hope in the future we can have more women orchestra leaders,” Aziz said. Negin says she is happy she has had the chance to show off the abilities of Afghanistan, and Afghan women abroad. “One of the most wonderful memories for me was when our team went to Dubai, Turkmenistan and other countries and performed. Everyone was marveling about how Afghanistan has this kind of orchestra, a men and women’s mixed team, while the society is conservative, and there is warfare,” Negin recalls. But there are still plenty more goals on Nigen’s list, she says. “I want to continue my work as an orchestra leader and player, and even receive my doctoral degree in this field. Through this job I want to serve Afghanistan and form the country’s first national orchestra, just as other countries have,” she told me. In a country known for the restrictions placed on women, Negin story’s shows there are other possibilities.